You look at the clock. It’s 5:30. And you still have a million things to do. It’s one of the worst feelings, but through my role as an office manager, HR resource, accountant, and catch-all for Sapper, I’ve learned to take on more than what I thought I was capable of. In true startup fashion, my role has evolved from a part time bookkeeper to managing several departments. After having several meltdowns and receiving wonderful advice and support from the Sapper team, I have gotten better at time management. Below are the 6 steps I’ve taken to manage my time and make sure I’m completing the most important tasks. I realized that anytime I’d get to the end of my day without completing my critical work, it was a result of not having a plan of attack. I would start my day feeling overwhelmed and try to just dive in, but at the end of the day, I’d still feel unaccomplished. I stepped back and began to analyze how, when, and where I worked, figuring out what I needed to fix, and made a plan. Every single day. Make lists for everything–I have a daily list, weekly list, personal lists. Lists on lists on lists. And while writing everything down is valuable to help you process, sometimes having a page of to dos can be overwhelming–it’s easy to get lost and not know where to start. That’s why I came up with a system to differentiate what was important to accomplish that day vs. what could wait. I put a star next to the tasks that are most important, and a heart next to the secondary items. It’s simple, and Lisa Frank would be proud. This might seem silly, but it’s important to distinguish what must be done that day, and what can be put off if need be. Come up with your own system to help you make this distinction in your tasks (if stars and hearts aren’t your thing). This will help you decide what’s critical, and will help you avoid ending the day with the realization that you didn’t complete your most important items. Everyone has a certain time when they’re more focused, and maybe another where it’s almost impossible to remember what we were working on, let alone what we ate 5 minutes ago. I have the most drive and energy in the morning, and I schedule my day around that fact. I complete all of my duties that require the most focus and attention (star items) in the morning, and I work on the things that don’t need as much focus (heart items) in the afternoon because I know my focus dips closer to the end of the day. 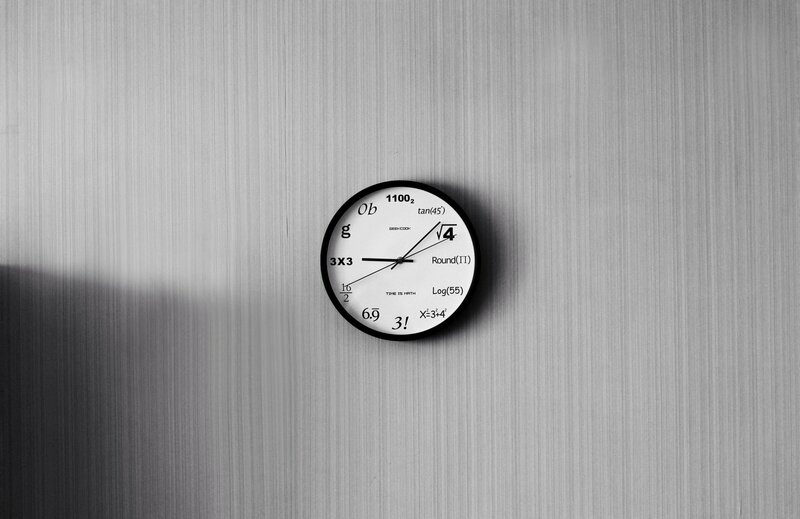 Figure out when you’re most productive and plan your schedule around it. It’s different for everyone, and you’re the only one that knows how you work best. I have the luxury of working with a lot of wonderful, funny people. If I had my way, I would chat and watch videos of reporters getting attacked by goats for most of my day. That said, I know I get distracted pretty easily, so I separate myself during my critical working hours to maintain focus and achieve the level of productivity I need to get everything finished. Identify your biggest distractions and make efforts to minimize them, even if it’s only for a few hours of intense concentration per day. I thrive when I’m alone with green tea and some upbeat music. Finding that work/life balance is key. Take time to think about what’s distracting you and what you can change to make sure you are in a space that encourages focus and helps you maintain a good workflow. Once you pinpoint your challenges, prioritize, and curate your environment; protect it. Block time on your calendar for those hours you know you’ll need. Schedule meetings around it. Your time is valuable and you need to put it first. I frequently get sucked into day-to-day tasks, tending to forget about the big picture. What are your weekly goals? Monthly goals? 12 month goals? At Sapper, the leadership team has a standup at the beginning of the week to go over several goals we want to accomplish that week. It’s important to keep those goals in mind throughout the week so you don’t get lost in your daily shuffle. Set goals. Check them off. Be mindful. Repeat. Mastering time management is a difficult feat and requires frequent evaluation and reflection. Taking the time to do this will help you build an optimal environment and workflow that is tailored to you. All of these levers have been crucial for me and will hopefully help you in subduing your own time management beasts. To learn more about Julie and the rest of ourt team, hit the button below.